Approaching the famous festival of lovers. Do yourself and your sweetheart nice. Hourly by Swatch is a unique gift collection. 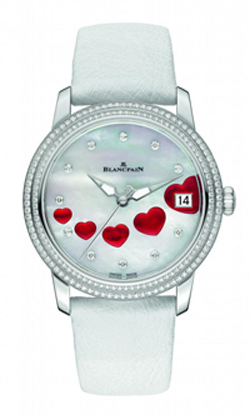 Models of Love Collection can be not only a great Prezent, but also the recognition of their feelings. More recently Haute Horlogerie and fine jewelry Haute Joaillerie lived their lives and their families were friends. But recently, watchmakers and jewelers have entered into a kind of marriage for money and lived a very entertaining and overall a beautiful life.